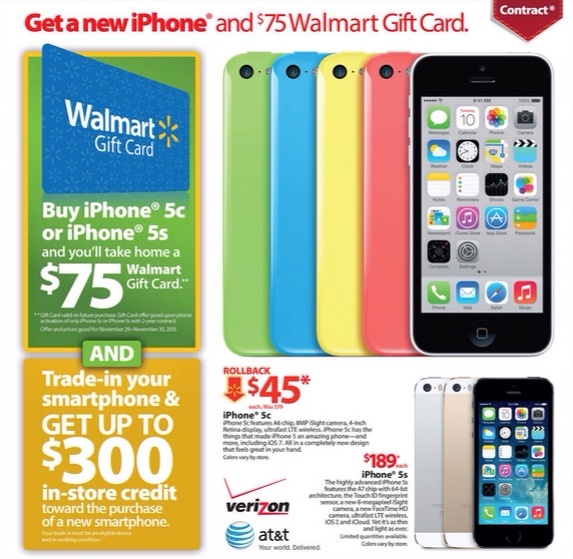 Walmart has also unveiled its black friday deals, after Target showed off their deals earlier. 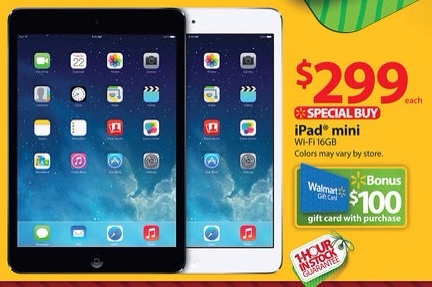 Walmart will not have as many Apple deals as Target, but will have enticing offers for those looking to pickup an iPad Mini or iPhone. These deals are only valid Nov 28 - Dec 1 and available in store only.